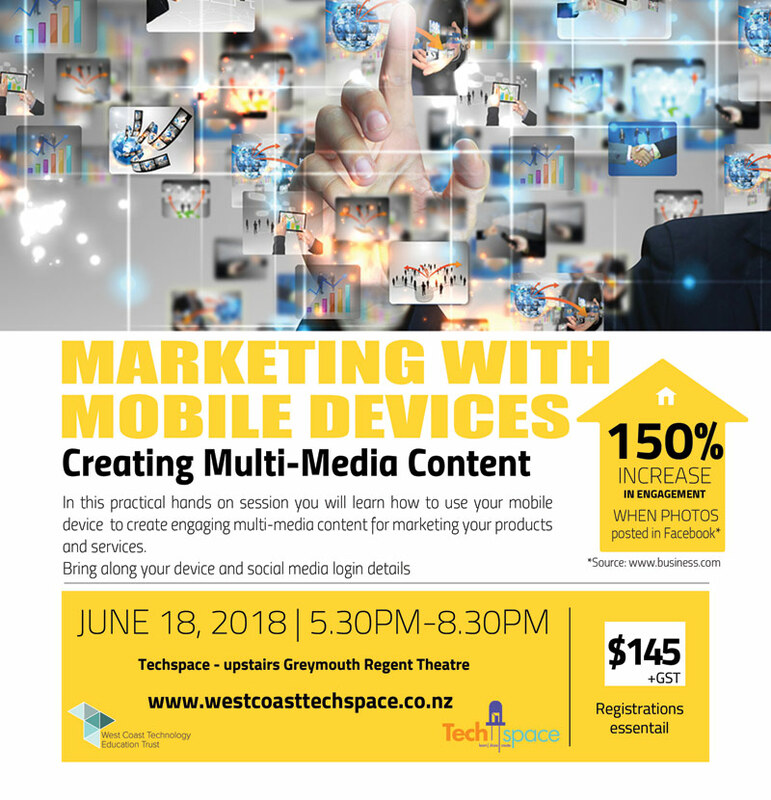 This workshop is designed to work in conjunction with the Tech Tools for Marketing workshop. You will need to bring a mobile phone or tablet with the relevant accounts already set up, ie Instagram. Or you will need to have video editing software installed such as Kinemaster for iOS or Android installed or image editing software such as Pixlr for iOS or Android.